I used another Viva La Verve sketch to make the following card. Again, I used some of the pretty papers from October Afternoon Sidewalks collection. These papers are so fun! I die cut the letters and heart in patterned paper and chipboard using the Verve I Heart You die set. I can't believe this is the first time I've used these dies. I have to say that I think this is my favorite card this month. Another relaxing weekend ahead. The weather is totally awesome right now here in NorCal. I took Marley for a nice long walk this morning. I noticed that some trees are threatening to bud and some flowers are already peeking out too. Guess it's the extremely mild winter we are having so far this year. 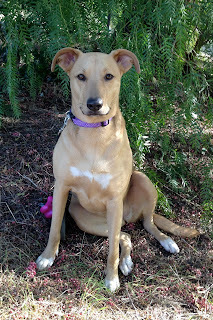 Here is a picture I took of Marley. She's getting pretty used to me taking pictures of her now. I took this picture with my iPhone 4s. Awesome camera! Sweet picture of Marley Linda!! I wish Lucky would let me take her picture! 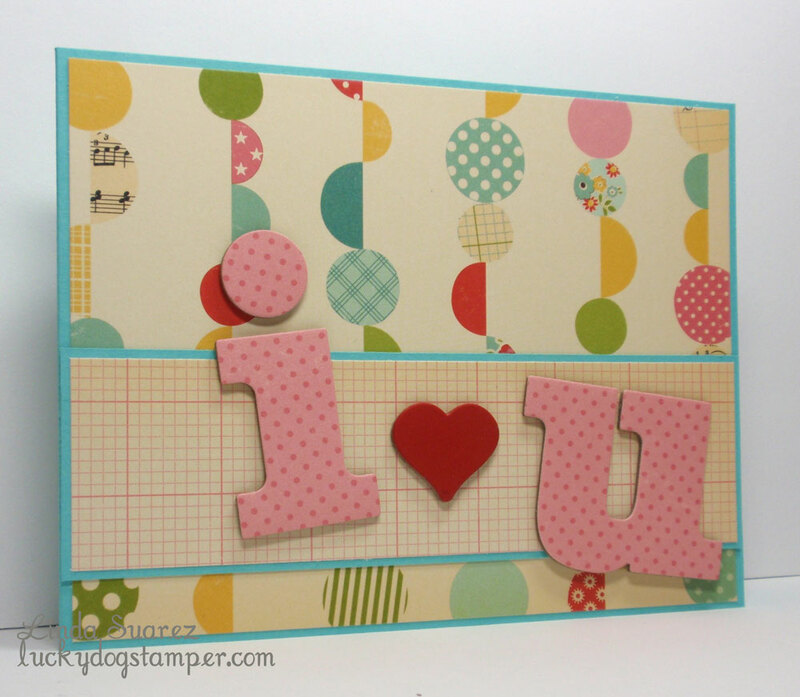 I love patterned paper on your card and the I love you die is so cool! !